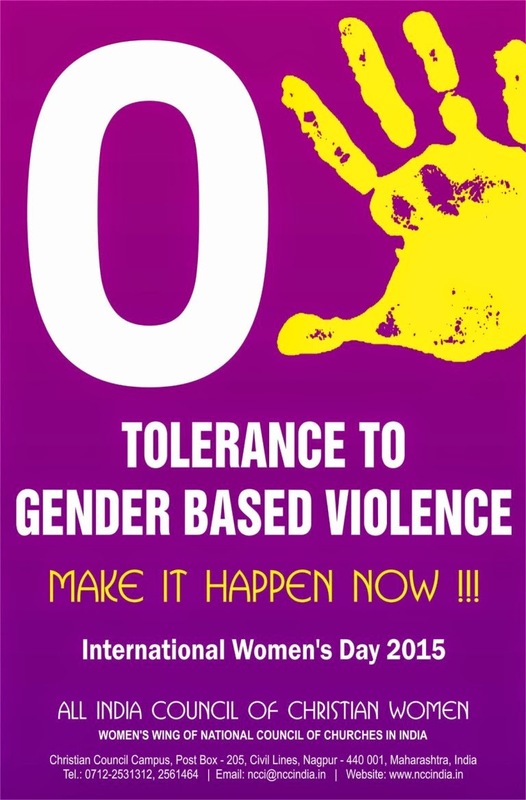 "Gender based violence is a disease and has become a pandemic in India. To combat this pandemic we need to build the conscience of the nation & puncture the culture of violence" opines Moumita Biswas, Executive Secretary of AICCW. "This is indeed a vigorous task. We need commitment, time, strategies, passion for justice, knowledge about human rights of women, children and vulnerable people, strengthened networking and willingness to risk ourselves in order to combat this pandemic of gender based violence in India" states Ms. Biswas. Therefore AICCW invites Church leaders, lay leaders, youth, men, women in congregations, institutions, communities to participate in this campaign so that everyone can have ‘Life in its fullness’ (John 10:10). Create awareness, conscientize & educate communities, individuals, Church & lay leaders to work towards eradicating gender-based violence. Nurture spirituality of justice, peace, healing & reconciliation, and reflect faith into action to eradicate gender-based violence through various training programs, advocacy work, etc. Engage in vigorous advocacy for Zero Tolerance to any form of gender-based violence at home, work place, communities, and even churches & faith-based organizations. Educate people about Child Protection Policies, Sexual Harassment & Gender Justice Policies, and implement such policies in churches and organizations/institutions. Strive to eradicate poverty which fuels feminization of violence especially violence against women, children and people from vulnerable communities. Act as pressure agency on government for implementation of laws and just legal system that prevents violation of human rights of women and children. Work towards rehabilitating and healing survivors and victims of gender-based violence. Promote gender studies and gender justice education in curriculums and social ethics in schools and colleges. Note: All India Council of Christian Women (AICCW) is the Women’s wing of National Council of Churches in India (NCCI). NCCI comprises of 14 million Christians in India from 30 different member Churches from Protestant & Orthodox tradition out of which 7 million are women and children.